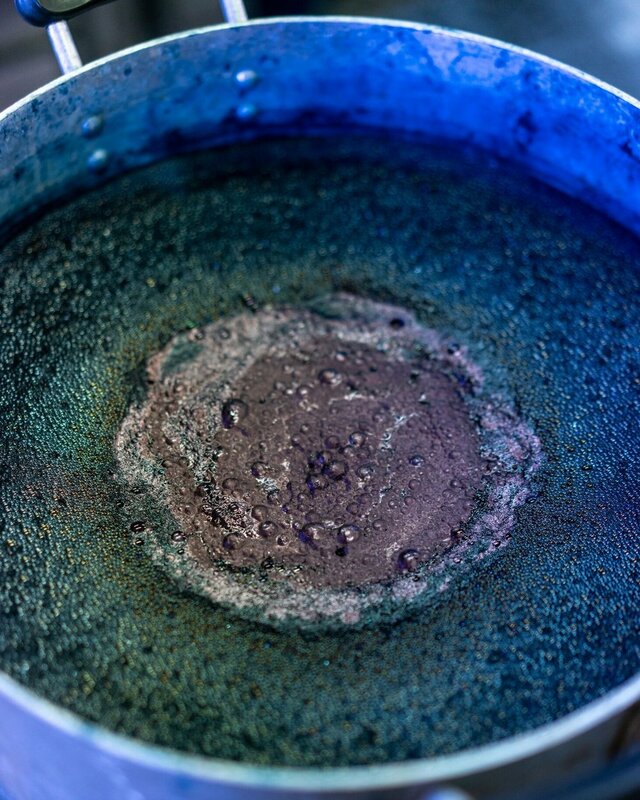 Indigo dye is obtained from the processing of the plant's leaves of Indigofera tinctoria, also called true indigo, is a species of plant from the bean family that was one of the original sources of natural indigo dye. They are soaked in water and fermented to obtain the blue dye. 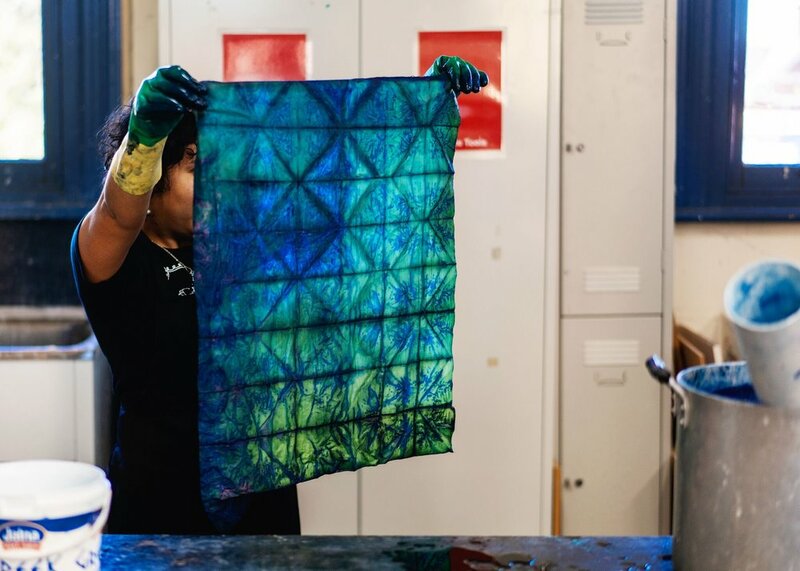 This hands-on experimental Shibori Dyeing Workshop introduces the participants into a world of colour. 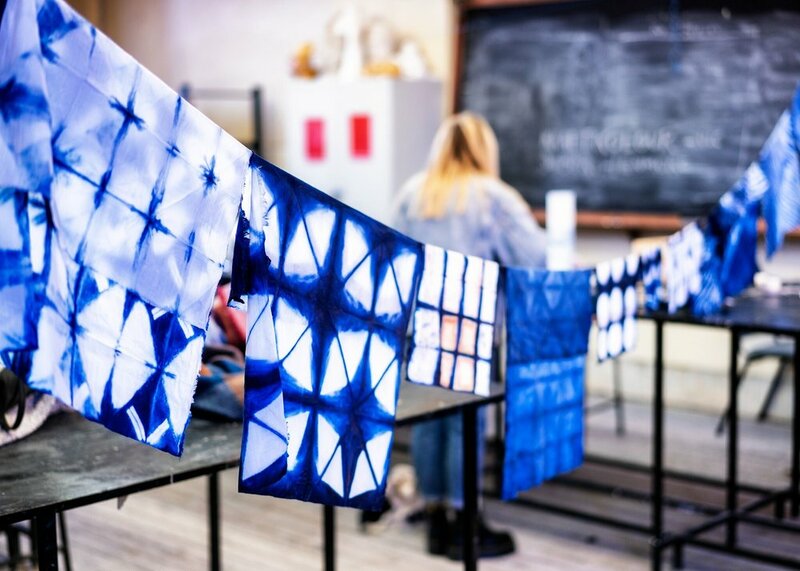 In this 3 hours workshop students will be shown how to mix an Indigo vat and different Shibori techniques to create their own unique piece of art. We will provide with a 100% organic cotton t-shirt and 1 metre of calico to experiment. All dye materials and lots of fun. Please bring to class an apron and/or wear old clothes you don’t mind getting a splash of colour on! You can also bring 1 or 2 small pieces of light colour natural fibre fabric or items that you wish to dye.